Weeds – we love to hate them. Controlling them can be easy, but only if you act early enough and know the correct process to use. Mulching is one important deterrent for weeds. Mulch can consist of many different materials – hay, straw, leaves, coconut husks and bark mulch are a few materials that can be used. Other purposes for mulching is it’s ability to help the soil retain moisture on top of making the environment difficult for the weeds to grow. Mulching also helps with pest control. For proper weed control you need 3″ – 4″ of mulch to restrict weed growth. Also, mulch needs to be completely replaced every couple of years, as it does compost, feeding the plants and trees around it. The wind also removes mulch, when it gets blustery. 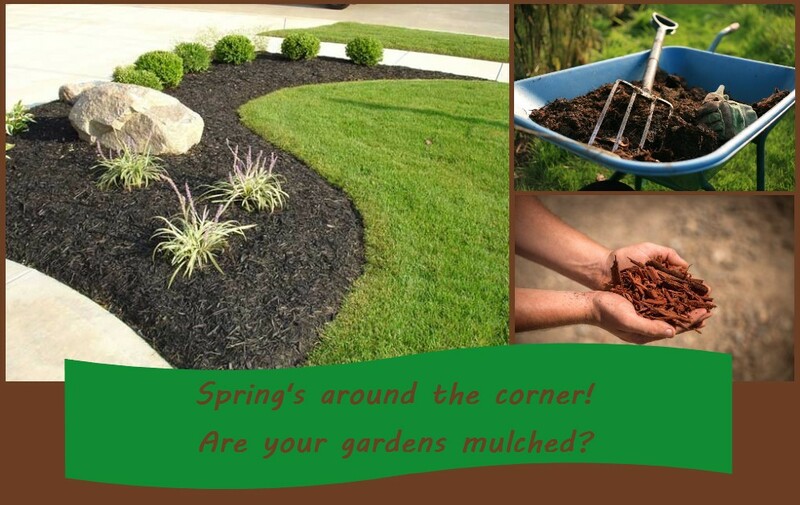 It’s a good idea to replenish some mulch every spring. You can also add mulch at other times throughout the year.